Luxury News Online have 10 tickets to GIVE AWAY for the world’s premier luxury event – Top Marques Monaco! The 14th Edition of Top Marques Monaco will take place at the Grimaldi Forum Monaco from 20th to 23rd April 2017. Terms and Conditions: 10 lucky winners will be drawn at random on Monday 20th March in front of an independent witness. Winners will be contacted by email. You are required to provide your postal address and tickets will be posted to you free of charge. Tickets will not be refunded or exchanged for any other prize. The winner will be contacted a maximum of 3 times, if no reply is received, the ticket will be awarded to the next entrant by a subsequent draw. 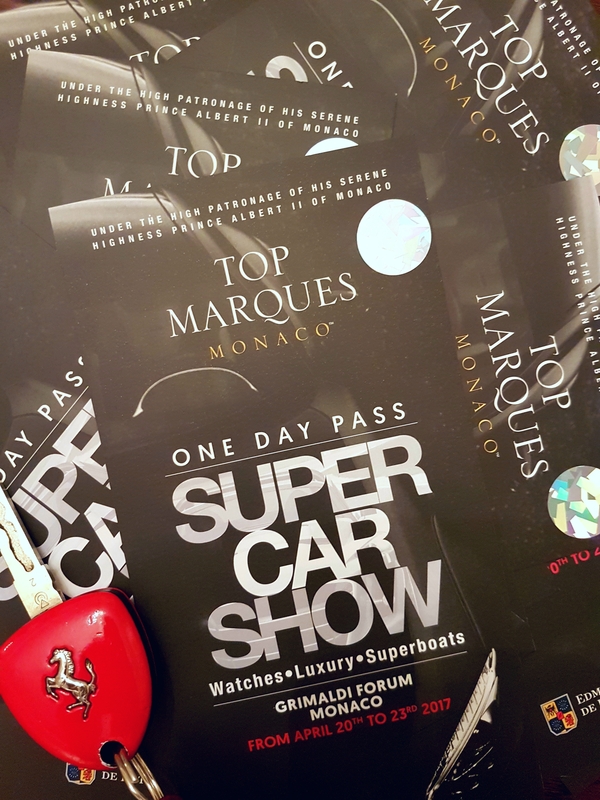 Tickets are for entry to Top Marques Monaco on ONE DAY of your choice. Dates listed below. James from Luxury News Online will be at Top Marques as social media partner so see him there! THE GRIMALDI FORUM Monaco is ideally located for international visitors via Nice Cote d’Azur Airport, the second largest in France. The venue is served by an excellent rail service along the Riviera and local bus services are available. Full details of these services can be obtained from the Monaco tourist office.